Alaskan musher Brent Sass has claimed victory in the Yukon Quest, four years after he last won the grueling, 1,600-kilometre sled dog race. "It's a dream come true," Sass said, shortly after his team was officially checked in at Fairbanks. 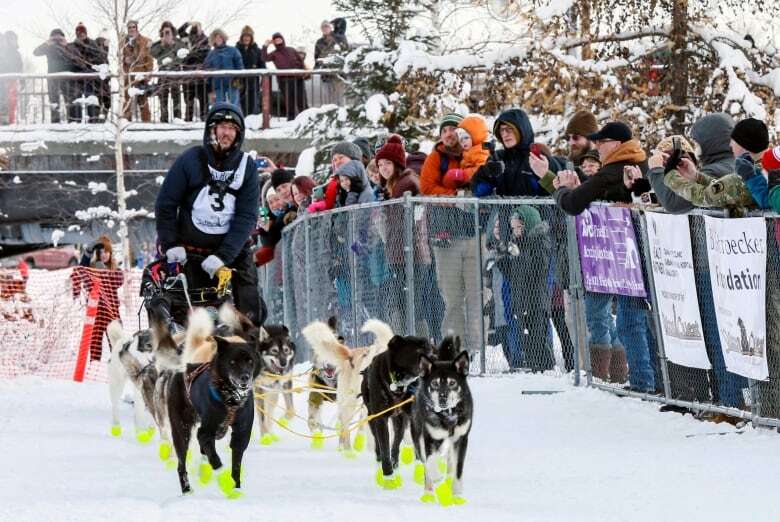 Sass and his team of 14 dogs crossed the finish line in Fairbanks, Alaska, at about 12:40 p.m. local time. Yukoner Hans Gatt came in second, arriving about 90 minutes later. 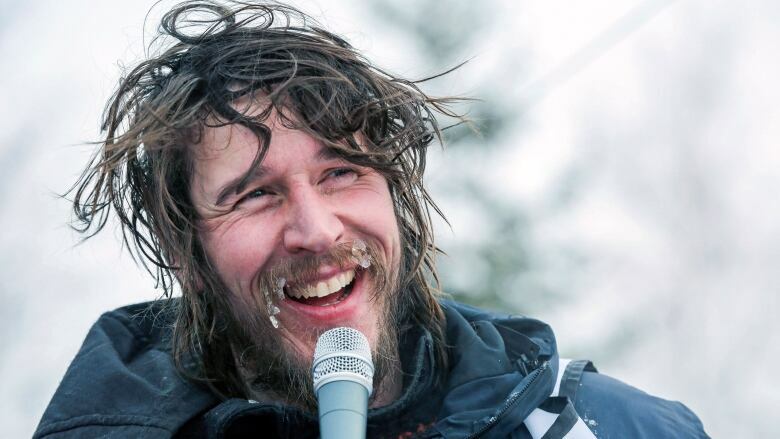 Sass, Gatt and Alaska's Allen Moore — all former Yukon Quest champs — were the first three mushers to leave the final checkpoint at Two Rivers, Alaska, early Monday morning. Sass held the lead throughout the last stretch of the race. Moore finished in third on Monday afternoon, and Yukoner Michelle Phillips was fourth across the finish line. Speaking at the finish line, Sass dedicated his win to friends and family, and choked up at times as he talked about his mentors and his dogs. "They never hesitated a bit," he said of his dog team. "They just kept getting faster." Sass said three of his dogs were veterans who had run the Quest with him before, but his other 11 dogs were rookies. "I can't wait until next year, then they're really going to have the knowledge and the know-how ... This is my dog team for the next five years. So that's exciting." Sass was also the first musher to reach the halfway checkpoint at Dawson City, Yukon, last week. He earned a couple of ounces of Klondike gold for that. The 39-year-old musher, based in in Eureka, Alaska, ran the Quest for 11 straight years before sitting it out in 2018. In 2017, he dropped out of the race before finishing, citing concern for the health of some of his dogs. ​Thirty mushers began the race this year in Whitehorse. Three have since dropped out.